If one of your resolutions is to loose weight – read on. 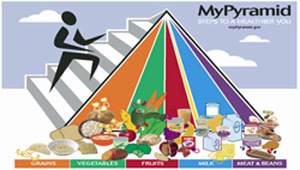 Analysis of some of the more popular diets are shown below. As our girths grow – and with it the risks of heart disease, stroke, diabetes and even some cancers, it is time to sit down at the international dinner table with something more than desert on our minds. It is only when some of us travel abroad to France, Italy, Spain or Greece, we learn how each meal is a kind of celebratory event to be savored and enjoyed. Weight Watchers This program stated back in the early 1960's when a few friends began meeting regularly to discuss the best methods of loosing weight. 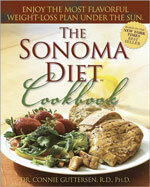 That small group group grew into millions of men and women worldwide who all follow the Weight Watchers mantra. Weight Watchers does not tell people what they can and can't eat. They simply provide guidelines for people to make healthy eating decisions along with a healthy lifestyle - meaning mental, emotional and physical health. Weight Watchers members get motivation, mutujal support and encouragement at local group meetings and online. Items such as food choices, recipes, exercise and calorie-burn calculators as well as weight loss tracker and progress charts, empower dieters to develop sustainable lifestyle changes. 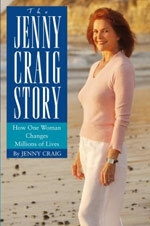 Jenny Craig This Australian program began in 1983 and commenced operations in the USA in 1985. 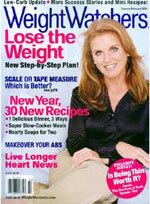 The Jenny Craig method is a three-level food-mind-body plan to help people loose weight - and keep it off. The program is calorie based. 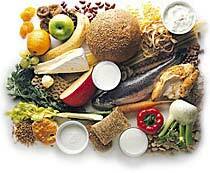 Our bodies burn both fat and carbohydrates for energy, but carbs are used first. By drastically reducing carbs and eating more protein and fat, our bodies naturally lose weight by burning the stored body fat more efficiently. Ms Guttersen encourages us to slow down and taste the food. She encourages seeing her diet plan as marrying pleasure with health, where every meal is aboput "celebration, not deprivation". Delicious recipies included at no charge. You will lose weight on the Pritikin diet, but the likelihood of the weight returning after one stops strictly adhering to the diet is high. Where did the term "Three square meals a day" originate ? 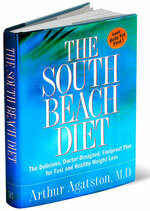 Fats – The South Beach diet bans unhealthy fats but strongly supports healthy ones. Dr Phil, the plain-talking, self-improvement guru and psychologist, spent eight years counseling people who were up to 300 pounds overweight. Cruise passionately believes that eating this way increases BMR (baseline metabolic rate – how fast your body burns calories), increases energy and decreases appetite. Nuts to you In at least one African nation, Gambia, peanuts frequently make up the basis of a meal; a favourite dish being tomato and peanut stew. And does it work? Well not only do the Gambians have virtually no weight problems, they also have the lowest international incidence of all types of cancer. English sailors in the mid eighteenth century began receiving better pay, and better food. Meals were taken together on the same gun deck on wooden trestles and with square wooden plates – hence the expression " three square meals a day "